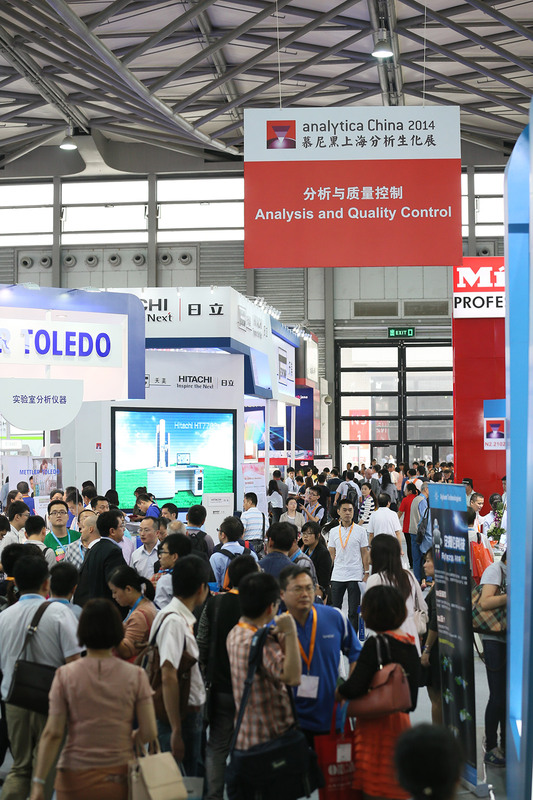 In less than three months, analytica China once again opens its doors for the Laboratory Technology, Analysis, Biotechnology and Diagnostics Industry. Concurrent with the trade fair, the analytica China conference offers high-quality academic presentations and forums, covering a wide range of areas including analytical chemistry, food safety, high-throughput sequencing and its applications as well as precision medicine. This year, over 100 presentations from leading scientists and industry experts from China, Germany and Japan will be staged. Apart from the well-established ones, like for example the LSAC Life Science & Biotech Forum, new programs in Precision Medicine and Sampling are among the highlights. The analytica China conference takes place from October 10 to 12, 2016 at the Shanghai New International Expo Centre. Hosted by the Chinese Chemical Society, the 8th Shanghai International Symposium on Analytical Chemistry again opens along with analytica China. With strong support from the Analysis Center, Tsinghua University, the symposium centers on the topic Analytical Chemistry: safety for our life, covering new technologies and methods in pharmacy and bio-analysis, food safety, and sample preparation, concentrating on actual applications. As one of the most important conferences at analytica China, the Shanghai International Symposium on Analytical Chemistry has been well accepted by exhibitors and visitors. Over 500 experts, researchers and professionals are expected at the conference this year. Food safety problems and the newly-released food safety regulations in China are voicing strong requests for the 3rd Shanghai Sino-EU International Forum on Food Safety, organized by the Shanghai Society of Food Science and Messe Muenchen Shanghai. The forum makes an in-depth analysis and comparison on the latest food safety regulations of China and other countries, focusing on new developments in food safety testing and monitoring, including liquid food manufacturing and quality control, food microbes and toxin testing, pesticide, antibiotics and heavy metal residue testing, as well as food safety monitoring technology in the Internet+ era. Being held by outstanding researchers, professionals and experts from Europe and China, the forum offers a very good chance for the audience to make face-to-face contact with the food safety industry. Along with the Human Genome Project came the fifth “P” in medical treatment—Precision Medicine—in addition to the existing four Ps: Prediction, Prevention, Participation and Personalized Treatment. To promote personalized treatment in China and provide a channel of communication for experts and industry leaders, the Shanghai Institute of Biological Engineering, Shanghai Biopharmaceutics Industry Association, Shanghai Biotechnology Corporation and Messe Muenchen Shanghai co-organize “Precision Medicine: Gene Test Technology and Individual Medication” for the first time at analytica China 2016. As a new highlight of the exhibition, the forum features expert talks on the latest developments in the field. Experts in lab construction and management will give insightful lectures on different topics, especially lab safety and health. A number of tutorials will be held on GC and GC/MS, Mass Spectrometry, third party testing, lab safety and certification, and food safety analysis. 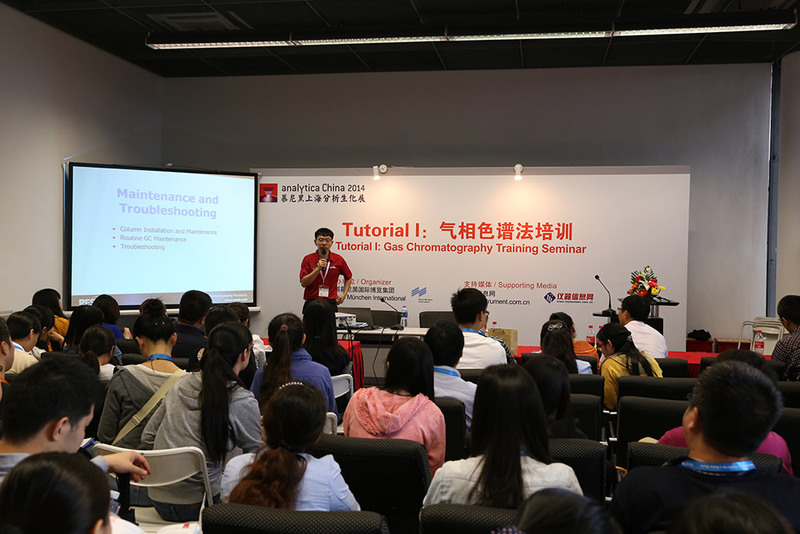 analytica China offers a wide variety of academic, technological, application, and training events. With cutting-edge topics, high-quality lectures and professional organization, the programs enable the audience to get to know the latest academic findings while learning best practice techniques through real cases.